Hey Niall Horan stans — we hate to break it to you but your chances with the One Direction heartthrob may be over. The singer was just spotted getting super touchy with Tara Cassandro, and some fans are speculating that they might be dating. So it turns out, Tara is actually Niall’s personal assistant. The England-born, brunette beauty has worked for the “Slow Hands” crooner since 2016. And over the years they’ve grown pretty close! But when new pics emerged of the two hanging at a restaurant on Thursday, February 27 with their hands all over each other, everyone started to wonder if they were more than friends. In the snaps, the 25-year-old could be seen grabbing Tara’s face, whispering in her ear, and even kissing her cheek. Fans quickly started shipping the two. “If Tara and Niall are dating I’m kind of here for it,” one fan wrote. “Niall and Tara please yes she is stunning,” another fan added. But some fans were not a fan of the rumored couple. “Tara and Niall are literally best friends, they’re always hanging with each other and everything. So don’t ruin their friendship with rumors. It’s their private life and we don’t have a say in it,” one fan wrote. “Tara is Niall’s assistant and a good friend of his why are people getting so sensitive like he was probably just telling her something and the surroundings could’ve been loud… let him breathe,” another added. Obviously we don’t know what’s really going on between Niall and Tara, but we did notice that the two have been hanging out a lot lately. They were spotted attending Courtney Barry‘s wedding together last week. And not to mention, they even spent Valentine’s Day shopping at the Grove together. 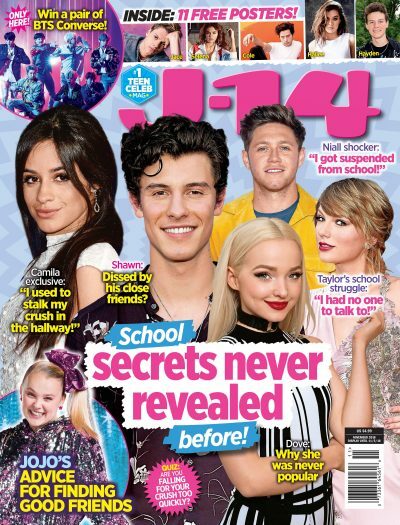 As J-14 readers know, Niall split from Hailee Steinfeld back in December. Whether Niall and Tara are dating or if they’re just friends, we just want him to be happy. Exposed Hailee Steinfeld Seemingly Calls Niall Horan A "Narcissist"